Celery fruits. See ajwain for a picture in larger scale. Leaves and root; both are used as vegetable or spice. 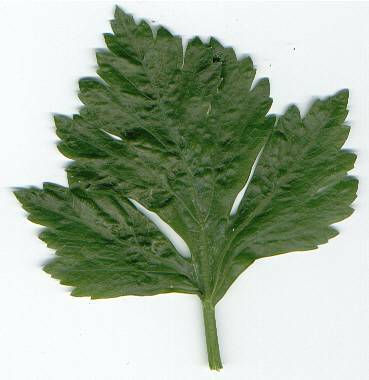 Celery fruits, often termed seeds, are a strong though rather uncommon spice. All plant parts are strongly aromatic. Compared to the wild form and the types used by the Romans (see also silphion), modern cultivars are significantly depleted in bitter constituents (see zedoary for an account on bitter spices). Celery oil is domi­nated by terpenes, mostly limonene (70 to 80%) and the sesqui­terpenes β‑selinene (10%) and humulene; but its charac­teristic fra­grance is caused by phthalides (3‑butyl­phthalid and its 5,6‑dihydro derivate sedanen­olid), al­though the latter occur only in traces. The furano‑cou­marin berg­aptene is a potent photo­sensitizer and may cause photo-dermatitis (skin irri­tation on light exposure) in field workers. Europe, culti­vated in the Medi­terranean region since at least 3000 years. 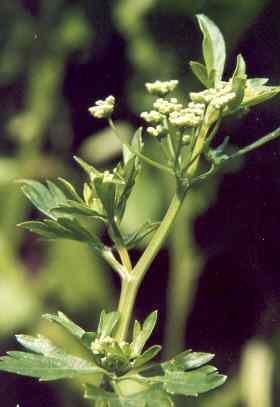 Culti­vation spread to Central and Northern Europe as a con­sequence of the edicts of Charle­magne (see lovage). In Latin language, the celery was called sedano (which gave rise to celery and its Italian, German and French cognates, see also parsley) or apium, which is found in Catalan and Provençal api and the regional German word Eppich. The ultimate origin of both names is dark. Celery has been known in the Medi­terranean since millennia. 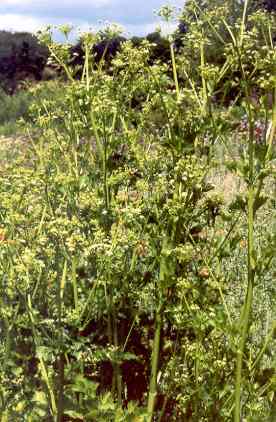 Homeros mentions them in his epics (see poppy and parsley); it was con­sidered a sacred plant in the classical period of Greece. It is less known, though, that celery leaves were worn by the winners of the Nemean Games, similar to the use of bay leaves at the Olympic and the Pythian Games. 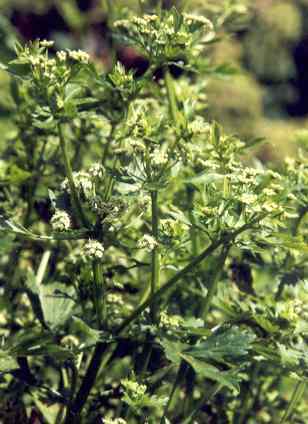 It should be noticed however, that the botanic identity of the plant in question is not fully clear; some literature identifies it as wild parsley . In my opinion, the Greeks hardly ever made a clear distinction between celery and parsley. The Nemean Games were conducted every second year, starting in 573, in the small city of Nemea in Southern Greece (Pelopon­nesus pen­insula), where, according to the legend, the great hero Hera­kles [Ἡρακλῆς], son of Zeus [Ζεύς], had performed the first of his labours and killed the Nemean Lion. The Isthmian Games, on the other hand, were associated with the sea god Poseidon [Ποσειδῶν] and took place near the city of Corinth. The Isthmian Games were established in 581 and were celebrated in the same years as the Nemean Games, which took place only a few kilo­meters away. The four Pan-Hellenic religious festivals played an important historic rôle in providing a unifying cultural link between the many independent, and often warring, Greek city-states. The Romans valued celery more for cooking than for religion; consequently, celery fruits and leaves are quite more common flavourings in the famous Apicius cookbook (see Silphion). On the other hand, much superstition was connected with it: The plant was thought to bring bad fortune under certain circumstances, and was generally associated with Death and Underworld. Today, celery is a popular herb and vegetable in Europe; the leaves are sometimes chopped and used as a garnish (similar to parsley), but more frequently cooked in soups or sauces to improve the taste. 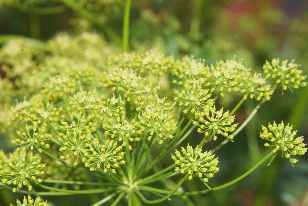 For the latter purpose, the root (often in combination with bay or boldo leaves, parsley root and lovage leaves) is also suitable (see parsley on the topic of herb bundles). Additionally, the cooked root can be eaten as a vegetable. In England and the US, the variety of celery with fleshy stems is more popular than root celery; the latter (also called celeriac) is more commonly found on the European continent. Celery plays quite an important part in the Creole cookery of New Orleans, where celery stalks show up frequently in dishes like gumbo (see sassafras). Celery fruits (often called celery seeds) have a similar, but much stronger aroma. They can be ground and mixed with salt (celery salt, though industrially it is often made from celery root extract) to make dosage easier. The fruits are slightly bitter (some say, comparable to fenugreek), which limits their usage; but even so they are a great addition to cooked vegetables. They are rarely used, though they have been common in the days of the Roman Empire. Because of their heat-resistance and unique flavour, they are a rewarding spice for those who like culinary experiments. 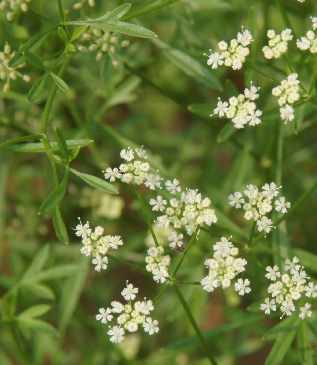 In North Eastern India, the dried fruits of a related plant (radhuni) are used as a culinary spice, e. g., in the Bengali spice mixture panch phoron (see nigella). Celery fruits are a working substitute for that spice, better than anything else you will get outside of Bengal. 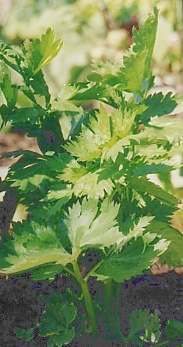 Celery fruits are sometimes reported in curry powder (see curry leaves for details), probably as a substitute for radhuni.